iPhone 7 Plus has been launched recently and many of you might have spent a couple of hundred dollars to buy it already. It has come up with many exciting features and lots of changes to enhance usage experience. Since it is a delicate device, we recommend every user to buy a suitable case to protect the phone and its screen from annoying scratches. Cell phones are portable devices and most of the time we keep them handy so there is no guarantee that they will never slip away from our hands or drop accidentally. Although new iPhone 7 Plus is water and dust resistant with IP67 rating, but liquid damage is not covered under warranty, so we should take this thing also in to consideration. It is also true that the resale value of an undamaged phone is always higher than a damaged one. Here in this article we are going to round-up best iPhone 7 Plus cases and covers that not just protect your phone but also add value to its looks and feel. Let’s have a look at the best iPhone 7 Plus cases one by one. 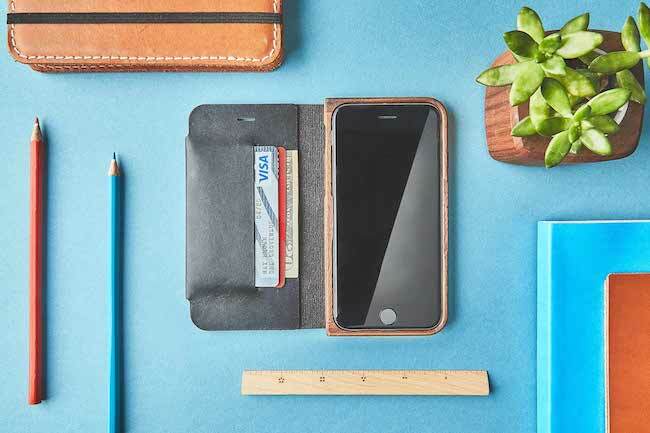 Ok, we admit it that this wallet case for iPhone 7 Plus made from walnut and leather does make your phone bulky, but it looks so gorgeous that you will forget the weight. This case if made from natural materials and company is from Portland that always come up with something unique and beautiful. Other than openings for ports and buttons, there is a space once you open for visiting cards or credit cards. However, if you are using it for protection, we won’t recommend it. Looking for an elegant leather case for your iPhone 7 Plus, check out Mujjo leather wallet case that has molded edges that fits your phone perfectly. It has also a pocket that can easily accommodate 2-3 credit cards that are secure and easily accessible. You can pre-order Nodus iPhone 7 Plus shell case if you like and they will start shipping from October 30th, 2016. 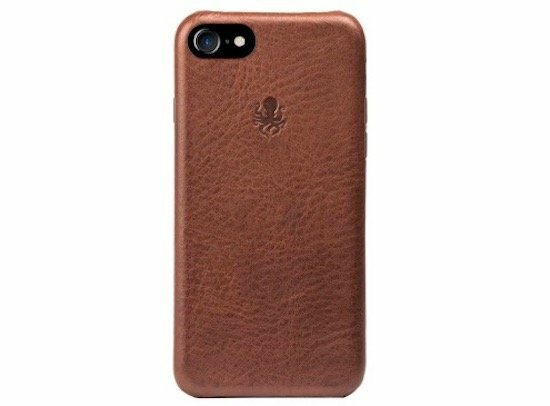 A stylish looking Italian leather iPhone 7 Plus case that comes with secure magnetic mounting system. It comes with soft-core microfiber lining to protect your back, from scratches and outer shell is made of shock absorbing poly-carbonate core to prevent your iPhone 7 Plus from drops. Looking something modern for your new shiny iPhone 7 Plus. If yes, you can check the new iPhone 7 Plus case by Caselogy that has geometric design which looks just awesome. Soft coatings on the corner create a comfortable grip and your iPhone won’t slip out of your hands after using this case. 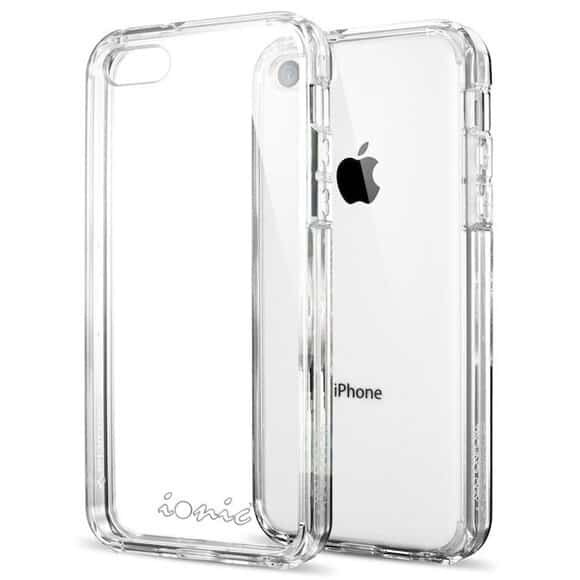 It is made of polycarbonate that protects your phone from accidentals slips. 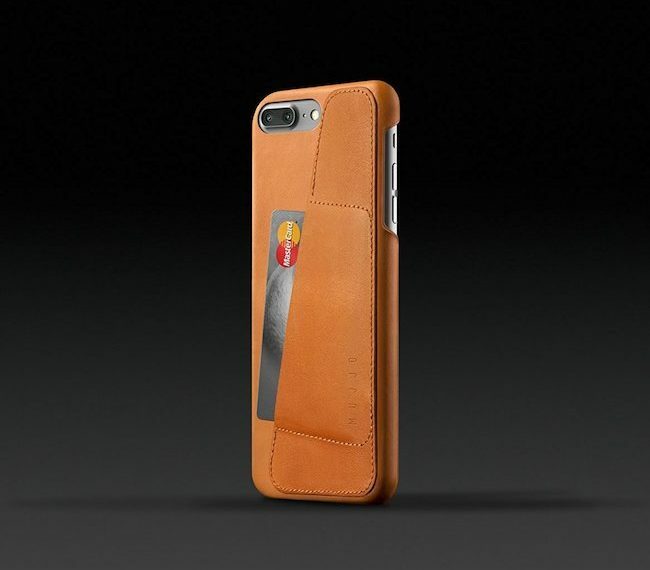 It seems like leather finish iPhone 7 Plus cases are in demand. Here’s one another from Caseology that has a premium PU leather look and soft coated bumper that doesn’t give a scratch to your iPhone back. The metal finish on the corners looks elegant and has dual-layer protection. It comes in various styles, finishes and colors so you can check out according to your style statement. How about buying a case for iPhone 7 Plus that not only looks stylish but also gives protection even if your phone drops from 10 feet? Yes, you read it right, try out iPhone 7 Plus case from Speck products that is beautiful, slim and most protective case. Not only this, you will find various designs to choose from and the case has scratch-proof design so that you can use it for a longer time. A simple yet elegant iPhone 7 Plus case that is tested for 10 foot drop. 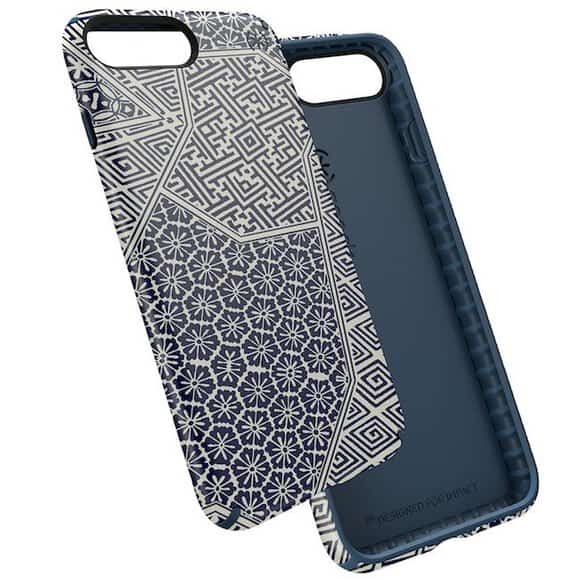 It not only ensures protection of your iPhone 7 Plus but looks unique too with geometric lines on its back. Rubber ridges are raised on the corners so that it won’t slip out of your hand. Even with so much protection, Speck case doesn’t look bulky and one of the slimmest iPhone 7 Plus case which is scratch-resistant and dust proof. Another beautiful iPhone 7 Plus case that comes from VRSDesign that looks elegant yet tough to protect your hard-earned device. It comes in 6 colors and flaunts Apple logo on the back with style with metal brushed look. By the way, don’t get fool by the looks, it boasts Military Grade certified drop protection. Looking to protect your iPhone 7 Plus from accidental damages? 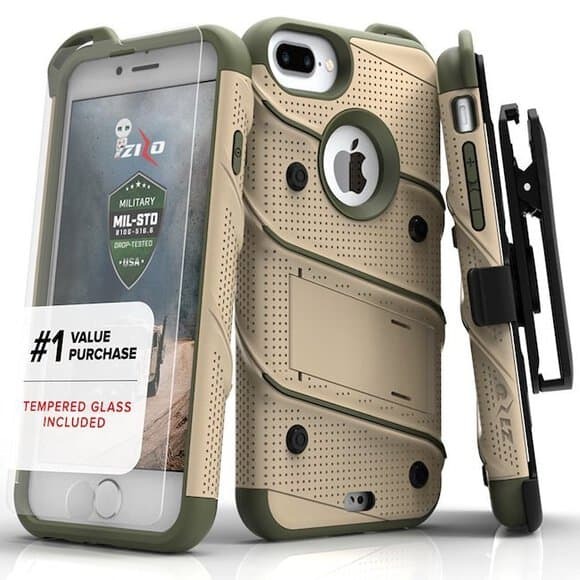 Do not look further and check the heavy-duty military grade iPhone 7 Plus case from Zizo that is not too much bulky and fits in your pocket perfectly. Not only that, it comes with a kickstand to enjoy your favorite video and movies. Also comes with a detachable holster belt clip to attach it to your belt if you don’t want to keep your iPhone into the pocket. When it comes to protection, it comes with multiple layers such as soft shock absorbing later with an impact resistant layering in the upper body. 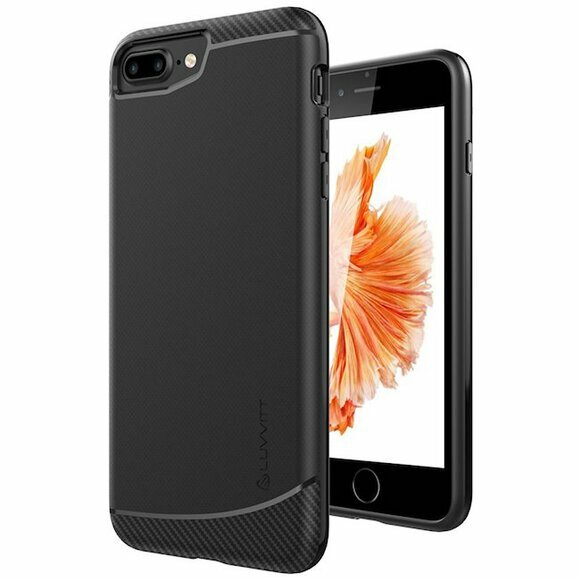 Another sleek shock absorbing iPhone 7 Plus case from LuvvItt company. It comes with heavy-duty protection and anti-grip material that save your phone from slipping out of your hands. It is crafted in such a way that all the charging ports, volume and power buttons becomes easily accessible without pressing them too hard. Maxboost came with a new series of iPhone 7 Plus cases that has bright colors and a slim profile. 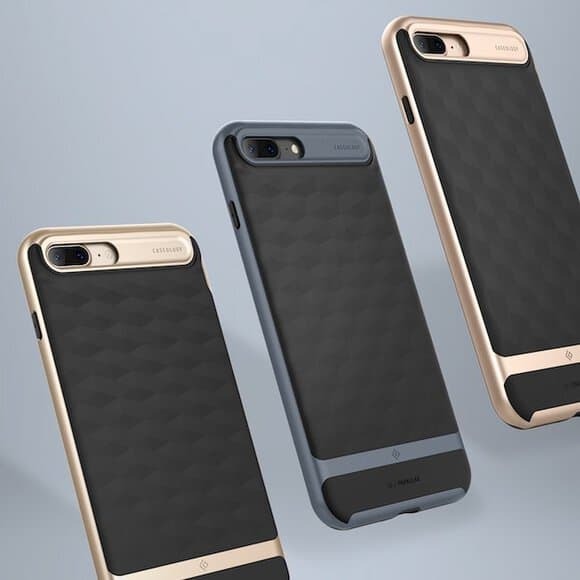 This case comes in three colors: Italian Rose Gold, Turquoise Gold, While Gold which surely gonna look awesome whatever color of iPhone you buy. Maxboost didn’t compromise with the protection of your device and gives 4-side protection from cover corners to raise edges that will protect iPhone 7 Plus screen. It comes with lifetime hassle-free warranty, though we don’t have any idea what they cover in that so you can ask before buying. 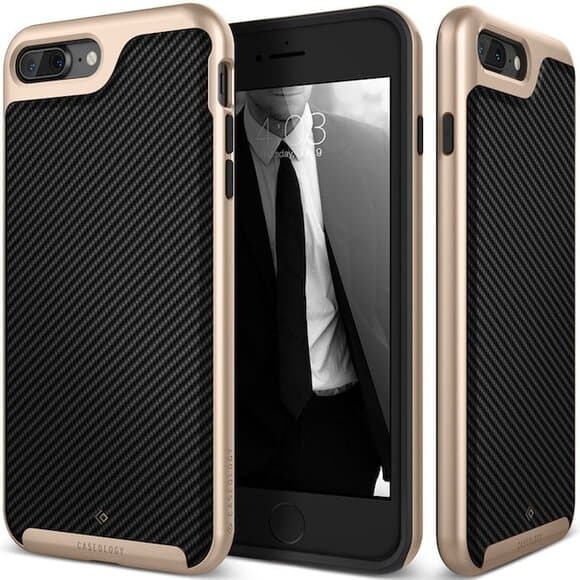 Ionic Slim iPhone 7 Plus case is made of hard plastic and features a soft surface finish which provides solid protection to your Apple iPhone 7 Plus. 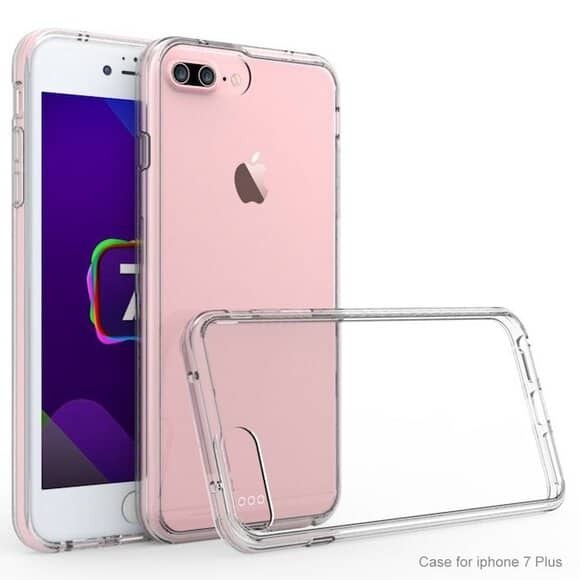 The case is ultra slim and extremely light weighted and since they are transparent, you can easily showcase the beauty of your new iPhone and at the same time protect your phone from sudden fall, bumps or scratches. The case packs nice cut-outs to access ports and controls. Right now Amazon is giving huge discount on it so you can save the good amount of money. Peyou Protective hard back case are specially designed for iPhone 7 Plus and not just provide good protection, but also allow users to brag the beautiful design of their new phone. 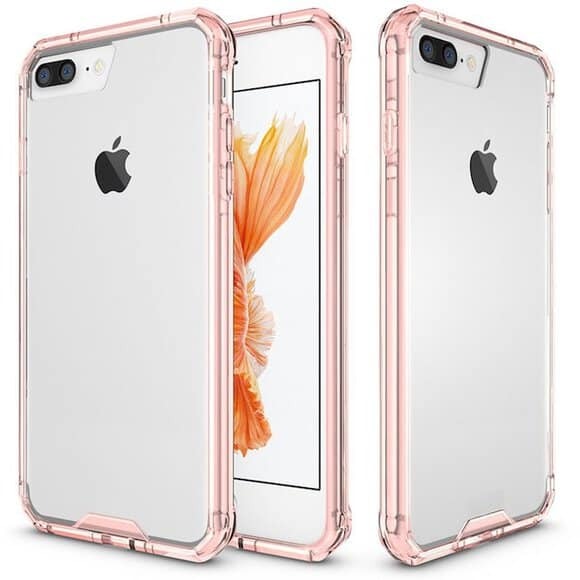 The cases are constructed with premium soft TPU material and feature soft, rounded edges to provide perfect grip, anti-scratch strengthen corners to save the phone from sudden fall, an ultra thin body which adds minimal bulk to the phone and nice cut-outs to provide easy access to controls. 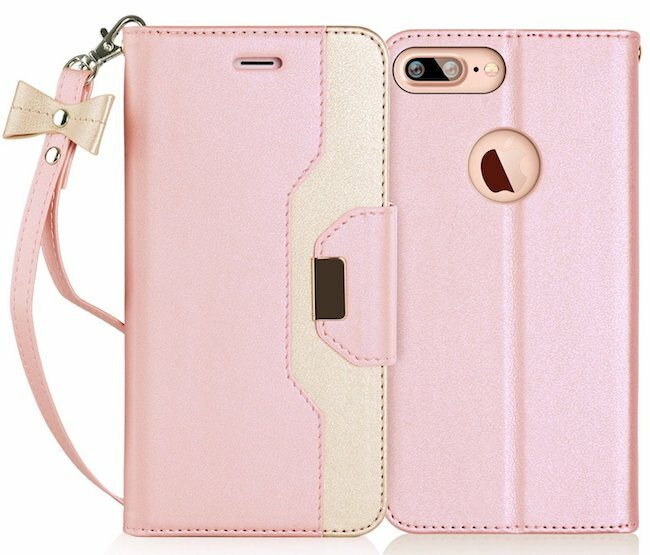 FYY PU Leather Wallet Case is specially made to fit iPhone 7 Plus and are dedicated to girls as they include a Cosmetic mirror for makeup. The design and looks of the case are highly suitable for students as well as professionals. The cases are made of high quality PU leather and provide good support for video chat and watching movies. The cases use Radio Frequency Identification technology to copy electronic data. They include card slots where you can keep your credit card, debit card or ID. 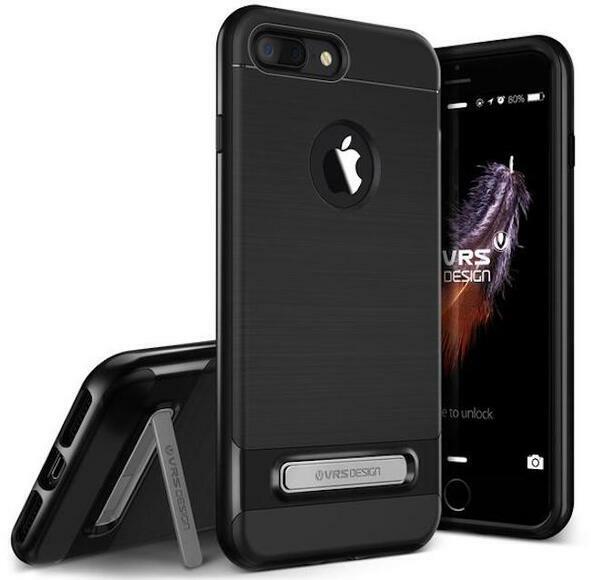 IVSO TPU Bumper iPhone 7 Plus case provides full protection as the body combines soft TPU edge and ultra thin PC back cover to absorb shock or drop. The case offers effortless access to all ports, camera and other controls. The case is crystal clear so you can brag the amazing look of your iPhone 7 Plus for which this case has been crafted. There are various colours and styles available. Right now amazon is giving heavy discount on this one as well. 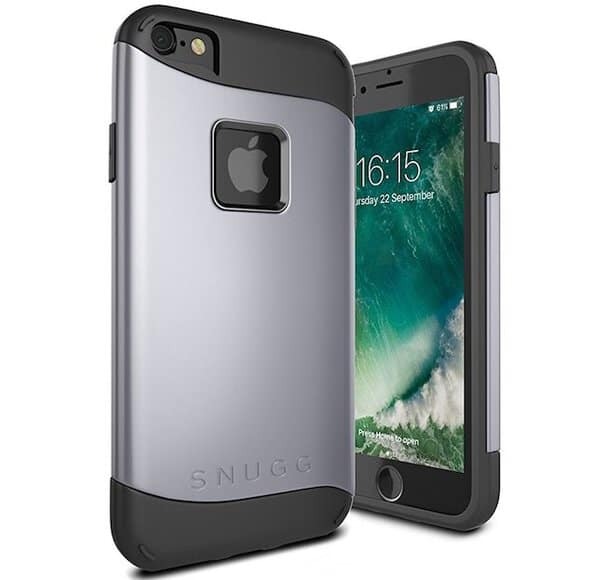 Snugg iPhone 7 Plus case is designed in London that comes with a flexible TPU inner shell, rigid polycarbonate back piece, raised bezel for the screen protection, open precise ports for charging and buttons. It comes with anti-scratch material so that it won’t scratch the back of your iPhone. 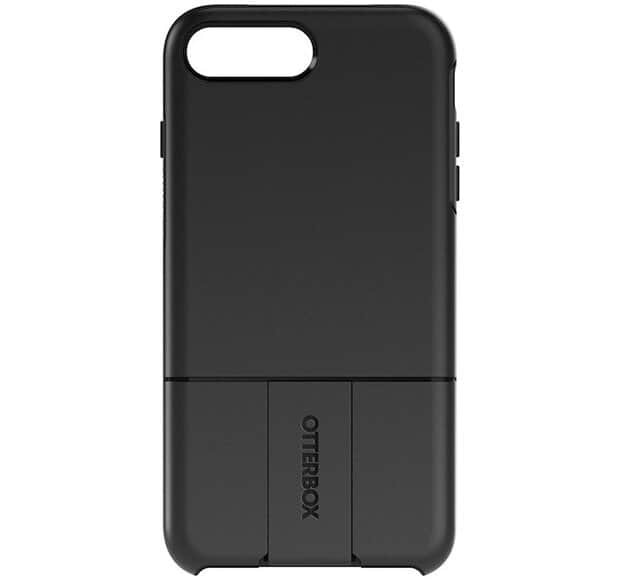 OtterBox uniVERSE series is different from other cases in the market. This case does not only protect your phone from scratches and damages, but comes with modules that you can attach the case such as camera lenses, card readers, extra batteries, speakers, etc that sold separately. The mechanism is so flawless that you won’t need to remove your case to swap the modules. We also reviewed Megaverse iPhone case that works on the same technique and turns your iPhone into bottle opener, wallet or mirror. You can check the article here: Megaverse Multi-Purpose iPhone Case that is Worth Checking Out. 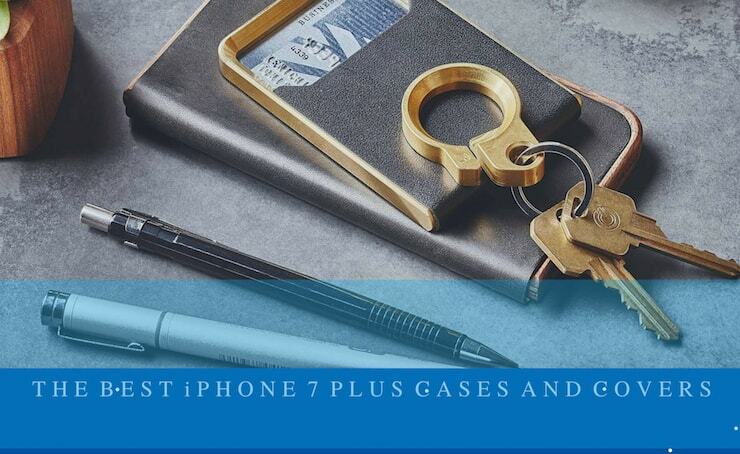 Hopefully the list we have provided of the best iPhone 7 Plus cases and covers will help you to find the one that suits your needs and personality best. 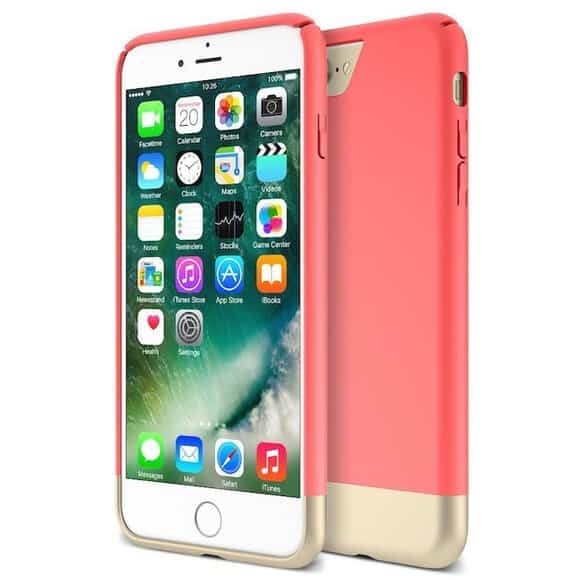 These awesome iPhone 7 Plus cases offer excellent protection and easy functioning at affordable prices, which makes them highly preferable for most of the users. It would be a wise decision to cover the device with any of these iPhone 7 Plus cases and use it for a long time without any damage. You can share your experience about them and feel free to provide your valuable feedback.